I’ve browsed many books to find inspiring seasonal texts written by my favourite authors, literary gems to collect in lovely notebooks ;-). 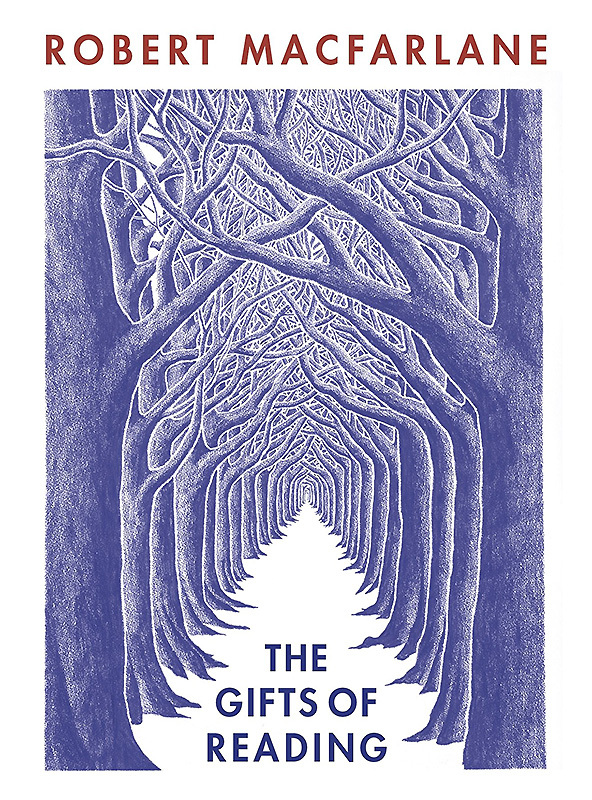 I’ve chosen to begin my selection with The Gifts of Reading by Robert MacFarlane, not only because its author is the one that has left the deepest mark on my mind this year but also because this wonderful little book (only 34 pages), with its beautiful cover by the artist Standley Donwood, is the best way I’ve found to introduce my page about Christmas books. The Gifts of Reading directly leads to A Time of Gifts : in his little book Robert Macfarlane explains how Patrick Leigh Fermor’s travel book had been offered to him by his friend Don and how its reading had influenced him. Robert Macfarlane’s little book had immediately made me want to read A Time of Gifts and I’ve just received an old edition of the book which, in 1986, had been offered as a Christmas gift to “Mum” by her five children whose names I can’t decipher on the front page ;-). The luminous cover by John Craxton is quite lovely! I look forward reading this book and I’ve even printed a map of Leigh Fermor’s long travel from the Hook of Holland to Constantinople ;-). I must just find time to face my reading list! 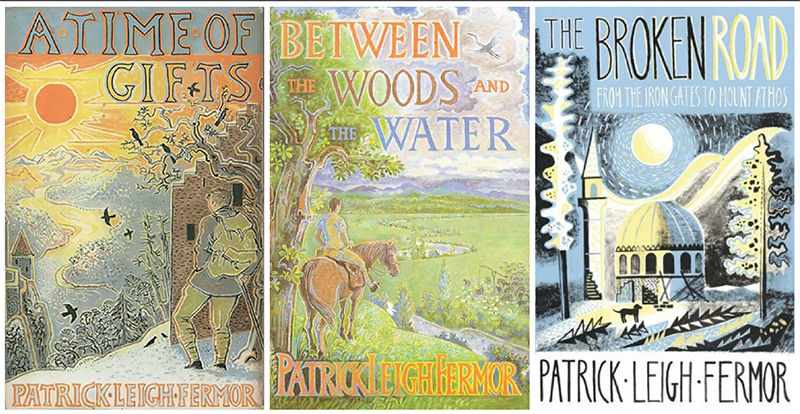 The archive of the National Library of Scotland shelters a number of very interesting documents about Patrick Leigh Fermor. A new good reason to visit the Library next time we go to Edinburgh ;-). “Sir Patrick, who was universally known as Paddy, was the finest travel writer of his generation and has been described as “a cross between Indiana Jones, Graham Greene and James Bond.” He was a decorated war hero, adventurer, scholar and Hollywood scriptwriter who could count princes and paupers among his friends. The inventory alone runs to 81 pages and lists extensive correspondence from fans, friends and associates; literary manuscripts, often with numerous annotations and revisions; diaries; notebooks, passports; sketches; photographs; articles and research papers. Two of Robert Macfarlane’s fascinating books were offered to me by my daughter and son-in-law for my last birthday :-). I immediately got immersed in The Old Ways… a book in which the author invites the reader to follow him along beautiful ancient paths and to rediscover them in a new way, trying to feel the invisible presences of the people who had preceding him on these paths, to discover clues opening the way to vanished worlds. It is a fascinating book which makes me feel like reading the other two books of MacFarlane’s series. Wishful thinking! My reading list is growing dangerously. 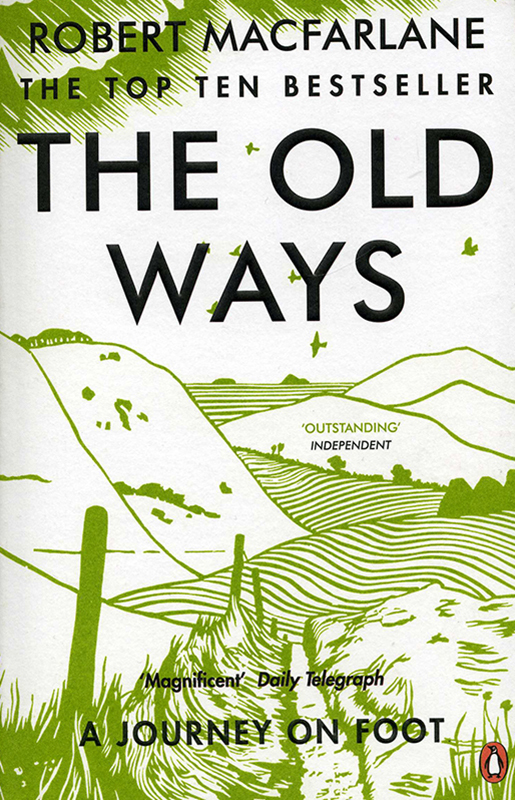 The Old Ways entered the Sunday Times Bestseller Chart for non-fiction at number three, and stayed in the top ten for a total of half-a-year as hardback and paperback. It was chosen 18 times as a Book of the Year for 2012 (..) In the UK it was joint winner of the Dolman Prize for Travel Writing, was shortlisted for The Samuel Johnson Prize (the ‘non-fiction Booker’), the Jan Michalski Prize for World Literature, the Duff-Cooper Prize for Non-Fiction, the Warwick Prize for Writing, the Waterstones Book of the Year Award, and three other prizes. 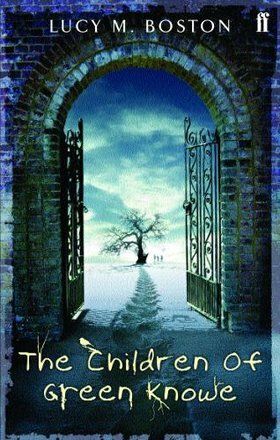 In the US it was shortlisted for the Orion Book Award. An abridged version was broadcast as Book of the Week on Radio 4 in June 2012. 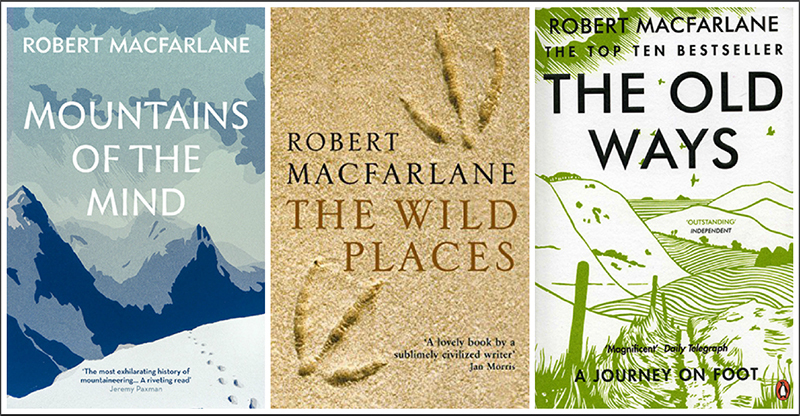 Macfarlane is seen as the influential inheritor of a tradition of writing about landscape, place, travel and nature which includes John Muir, Richard Jefferies and Edward Thomas as well as contemporary figures such as John McPhee, Rebecca Solnit, Annie Dillard, Barry Lopez and his friend Roger Deakin. He is associated with other walker-writers including Patrick Leigh Fermor, Nan Shepherd and Laurie Lee, and seen as one of a number of recent British writers who have provoked a new critical and popular interest in writing about landscape. Edward Thomas, in particular, prompted Macfarlane’s interest in the impact of British country paths and lanes on British writers. 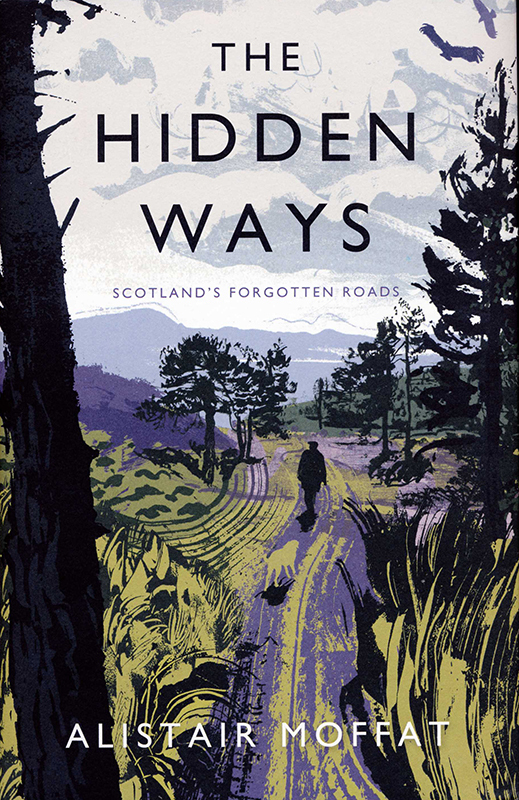 The reading of Robert Macfarlane’s The Old Ways immediately made me think of Alistair Moffat’s The Hidden Ways, a book which I bought last year, as soon as he was published. 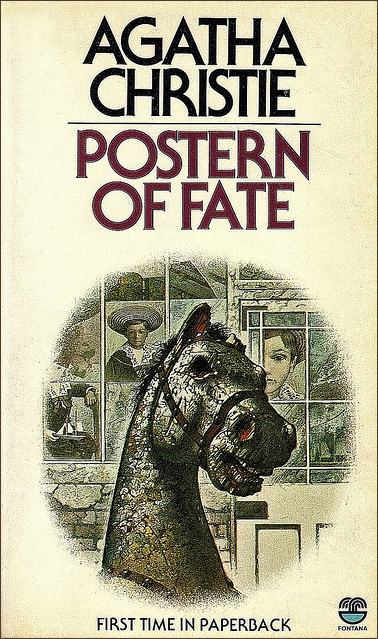 I’m a fan of Alistair Moffat and I think I have most of his books in my library. 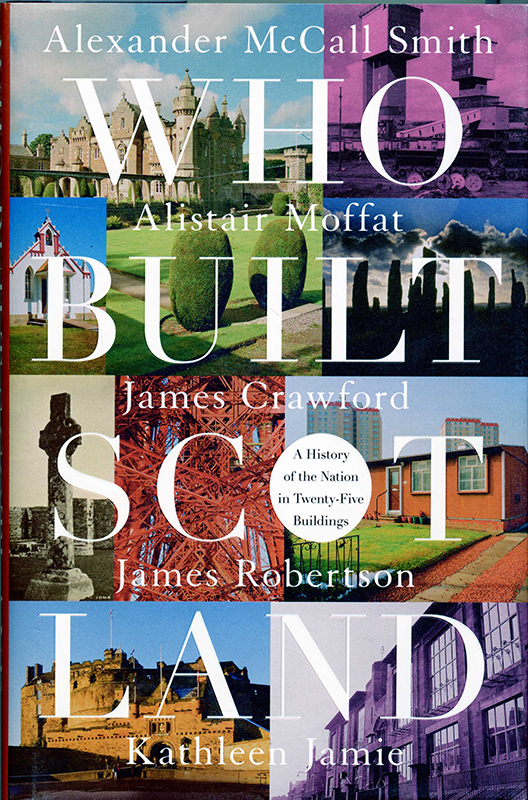 Alistair Moffat was born in Kelso, Scotland, in 1950. He is an award-winning writer, historian and Director of Programmes at Scottish Television, former Director of the Edinburgh Festival Fringe and former Rector of the University of St Andrews. He is the founder of Borders Book Festival and Co-Chairman of The Great Tapestry of Scotland. 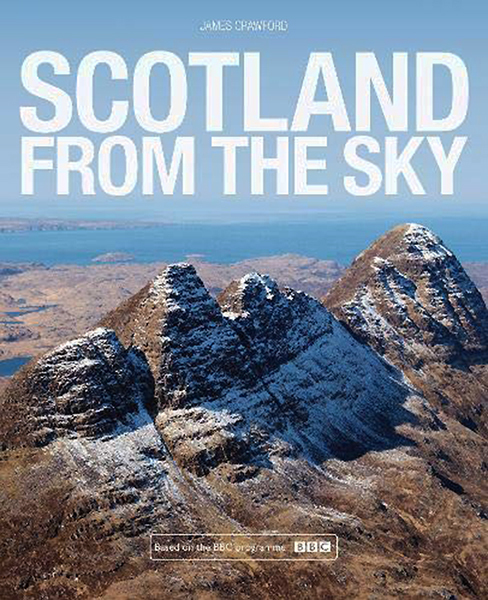 In The Hidden Ways, Alistair Moffat traverses the lost paths of Scotland. Down Roman roads tramped by armies, warpaths and pilgrim routes, drove roads and rail roads, turnpikes and sea roads, he traces the arteries through which our nation’s lifeblood has flowed in a bid to understand how our history has left its mark upon our landscape. Moffat’s travels along the hidden ways reveal not only the searing beauty and magic of the Scottish landscape, but open up a different sort of history, a new way of understanding our past by walking in the footsteps of our ancestors. 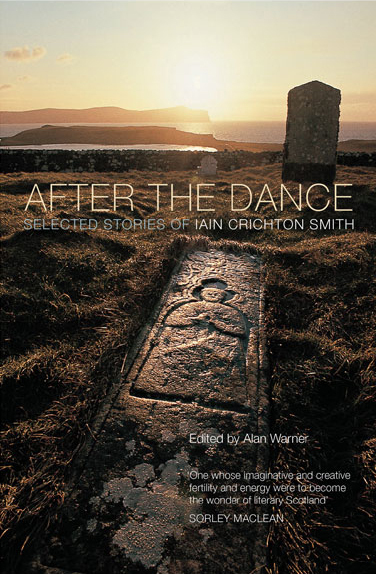 In retracing the forgotten paths, he charts a powerful, surprising and moving history of Scotland through the unremembered lives who have moved through it. Travel and History: five Scottish authors have chosen to write about five places to make us discover great pages of Scottish history. It’s very interesting. We learn and dream to go and visit the places which are so lively described. Kathleen Jamie, Alexander McCall Smith, Alistair Moffat, James Robertson and James Crawford travel across the country to tell the story of the nation, from abandoned islands and lonely glens to the heart of our modern cities. 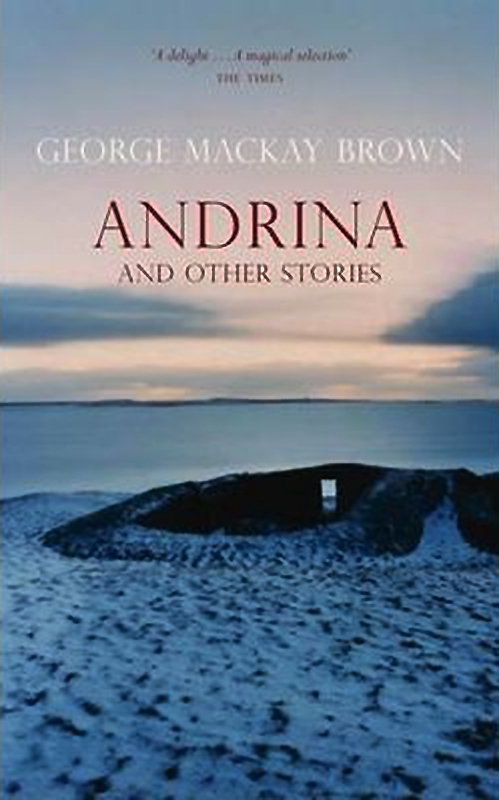 Whether visiting Shetland’s Mousa Broch at midsummer, following in the footsteps of pilgrims to Iona Abbey, joining the tourist bustle at Edinburgh Castle, scaling the Forth Bridge or staying in an off-the-grid eco-bothy, the authors unravel the stories of the places, people and passions that have had an enduring impact on the landscape and character of Scotland. Below is an alternative to the book’s contents. I’ve found it useful to make a list of the essays classified by author. Calanais : Who are You, and What do You Think You’re Looking at? I never tire of opening these books. And a new volume has just been published ! 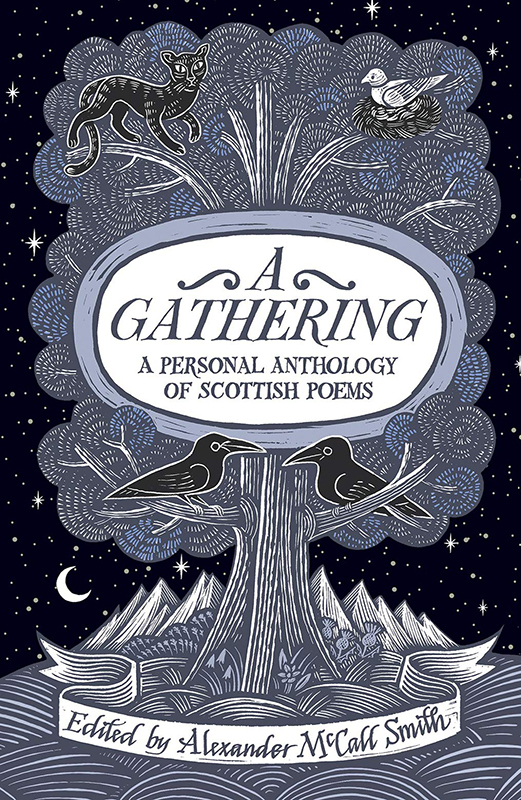 The beautiful cover of this Christmas anthology is an invitation to read it… most of the authors appearing in this volume are famous and two of them are Scottish: Kenneth Grahame and George Mackay Brown. For as long as Christmas has been celebrated, poets and writers have sought to explore every aspect of it, whether the story of the Nativity or the festive traditions that have grown up over the centuries. 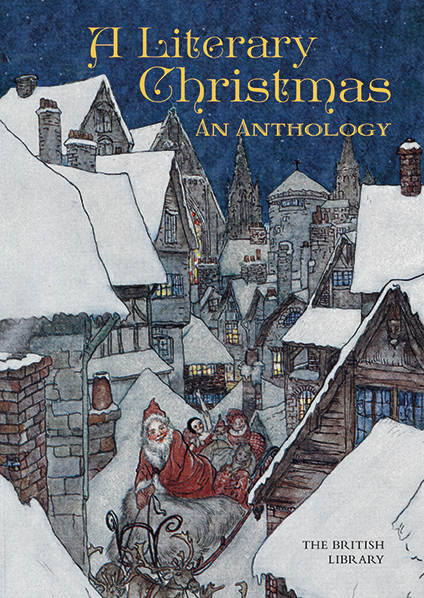 A Literary Christmas is a seasonal anthology that collects poems, short stories, and prose extracts by some of the greatest poets and writers in the English language. 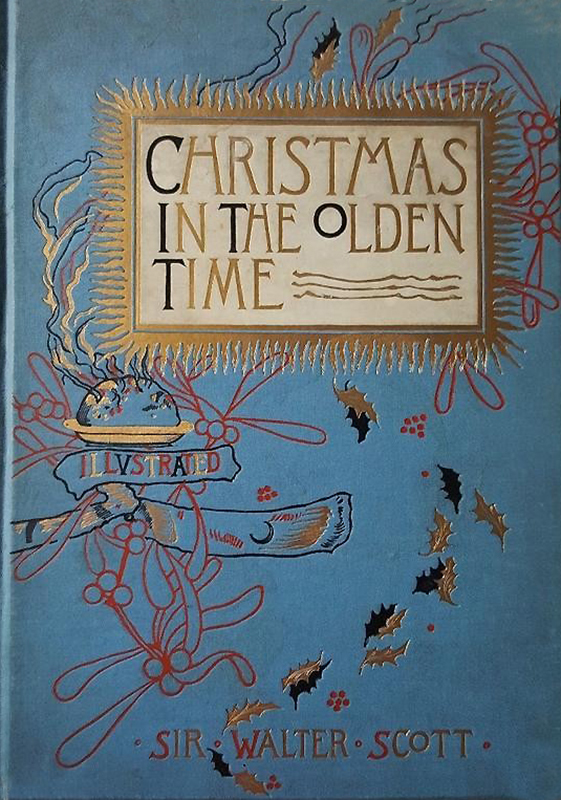 Like Charles Dickens’s ghosts of Christmas past and present, these texts are representative of times old and new—from John Donne’s Elizabethan hymn to the baby Jesus to Rudyard Kipling’s Christmas in India, from Thomas Tusser counting the cost of a Tudor feast to P.G. Wodehouse’s wry short story about Christmas on a diet. Enjoy a convivial Christmas Day as described by Samuel Pepys, Anthony Trollope, George Eliot, or Nancy Mitford. Venture out into the snow in the company of Jane Austen, John Evelyn, and Dickens’s ever-popular Mr Pickwick. 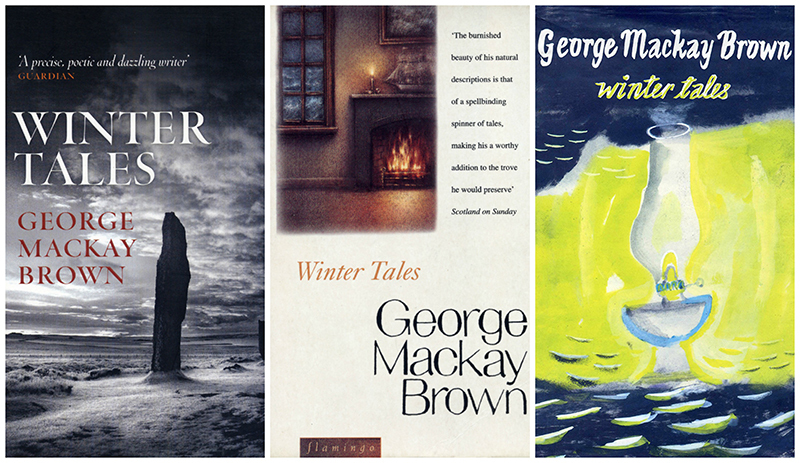 Entertain the children with the seasonal tales of Dylan Thomas, Kenneth Grahame, and George Mackay Brown. … and GMB was second to none to write short stories… he wrote many stories like “The Lost Boy”. How happy I was to discover the new 50th anniversary edition of Consider the Lilies, my favourite book by Iain Crichton Smith, first published in 1968. 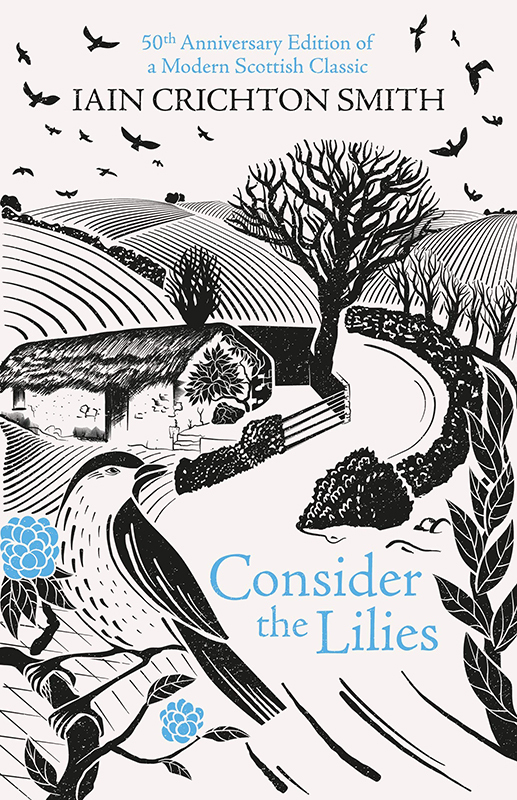 I have several editions of this great novel with different covers and I find this new one particularly moving! 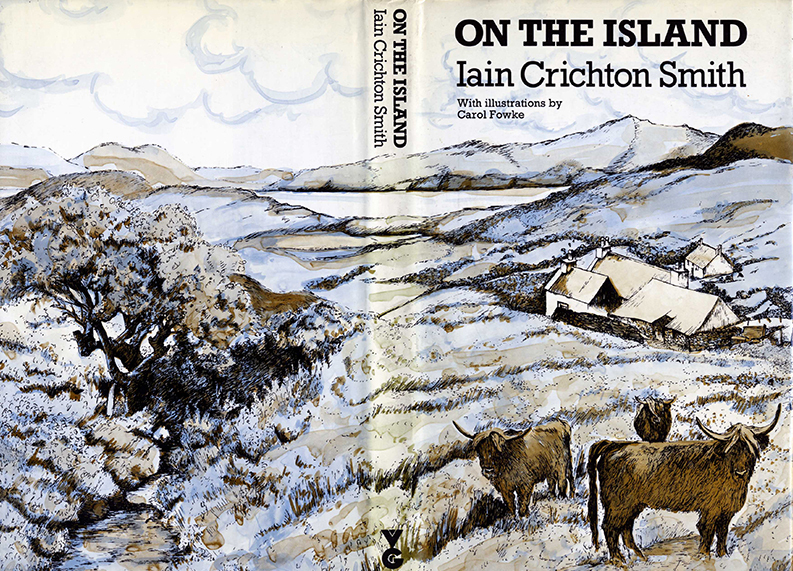 It conjures up the idea of a lively and peaceful countryside, with its typical croft, as it existed in the Highlands before the tragedy of the Clearances when the villagers were brutally expelled from their homes, their houses burnt and their cultivated fields turned into sheep grazing land… many of the chased villagers being forced to emigrate to the New World. “It was winter time and the snow was billowing round the cottage where Iain stayed with Kenneth and his mother, and the glittering light was almost dazzling. So attracted was Iain by the waves of snow and the light that he put on his wellingtons and went outside. Another Christmas has come again, and I am sending you a report of my activities during the year. This anthology is a personal curation and not just a simple collection of poems. Each poem, handpicked by Alexander McCall Smith, leads the reader from one poem to the another. Intimate in tone, the editor shares the pleasure he finds in these poems through short epigraphs written for each piece. Grouped together in themes, from: Islands, Friendship, Love and Marriage, through to War and Conflict, Secrets, and Joy, this book would make the prefect gift for any occasion. It is a book for readers with a deep love of poetry, as well as those who are looking for the key that will open up the world of poetry. Once upon a time, words began to vanish from the language of children. They disappeared so quietly that at first almost no one noticed – until one day, they were gone. But there is an old kind of magic for finding what is missing, and for summoning what has gone. If the right spells are spoken, the lost words can be brought back . . . All over the country, there are words disappearing from children’s lives. Words like Dandelion, Otter, Bramble, Acorn and Lark represent the natural world of childhood, a rich landscape of discovery and imagination that is fading from children’s minds. The Lost Words stands against the disappearance of wild childhood. It is a joyful celebration of the poetry of nature words and the living glory of our distinctive, British countryside. 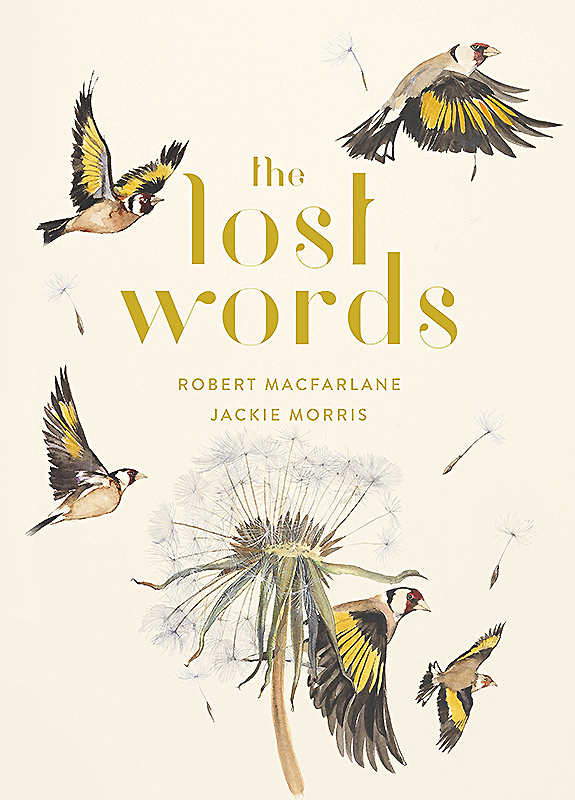 With acrostic spell-poems by peerless wordsmith Robert Macfarlane and hand-painted illustrations by Jackie Morris, this enchanting book captures the irreplaceable magic of language and nature for all ages. Everyone knows St George has to do battle with the dragon, but what can the boy do when the dragon simply won’t fight St George? 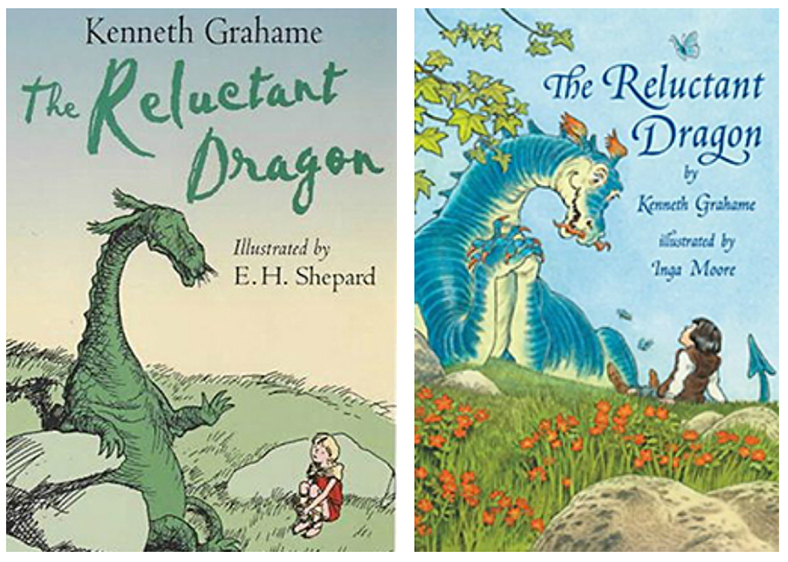 This is a timeless children’s classic from Kenneth Grahame (1859 -1932), a British writer, most famous for The Wind in the Willows (1908), one of the classics of children’s literature. “Green Knowe”, the name of the castle where the action takes place in Lucy M. Boston’s book reminds me “Greenknowe Tower”, the 16th-century ruined tower-house which is located just west of the village of Gordon, in the Scottish Borders. We visited it several years ago. It’s a lovely romantic place. Without her ghosts, Scotland would no longer be Scotland! 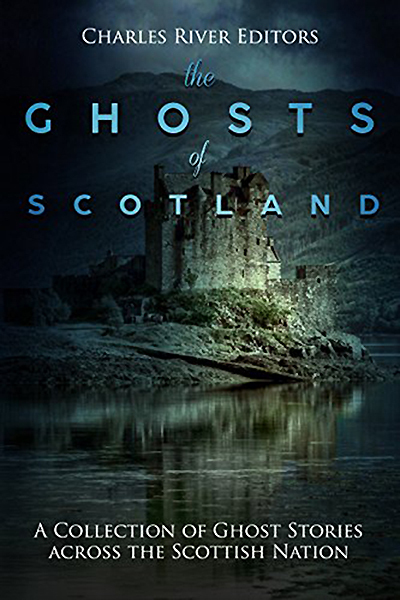 For the amateur of the genre, I’ve just found (and not read yet) this new collection of Scottish ghost stories. Scotland is a fascinating and ancient land filled with history. It has produced explorers, warriors, inventors, writers, and more than a few murderers. For many centuries, it fought bitter wars against England to maintain its independence, and even when those wars were finally lost, Scotland retained its distinct culture and identity. Though a part of the United Kingdom, it would be a mistake to lump it in with England, Wales, and Northern Ireland, as Scotland has its own tales to tell and traditions to maintain. Not everything in Scotland is as it appears, however. Some Scots say this is a land haunted by spirits, a place of strange disappearances and unexplained phenomena. There is no shortage when it comes to the strange stories Scotland has to offer, and the legends and lore have compelled many to dig a little deeper and even explore this wonderful land for themselves. Some of those tales are downright grisly. Scotland has always been a rival to its southern neighbor, and the rivalry extends to the number of hauntings in its medieval castles, stately homes, and old cobblestone streets. While many Englishmen claim that their country is the most haunted, the Scots can point to their own stories of ghosts as evidence they may beat the English in this dubious distinction. She produced the word rather with the effect of a bad-tempered explosion. ‘What did you say’ said Tommy. Tuppence looked across the room at him. ‘I said’ “books”,’ she said. ‘I see what you mean,’ said Thomas Beredford. Bonne lecture and happy Christmas shopping !